The anti-Beijing sentiment that helped put Nathan Law in office was fueled, in part, by a story that got international attention. Five Hong Kong booksellers disappeared last year, then they turned up in custody in Mainland China. Many people took it as a sign that China was trying to strip Hong Kong of its democratic freedoms. And it convinced one bookseller's daughter, a grad student who lives thousands of miles away in England, to become something she never imagined - a human rights campaigner. NPR's Frank Langfitt reports from Coventry. FRANK LANGFITT, BYLINE: Angela Gui is sitting on the floor of her living room, stuffing clothes into a roll bag. ANGELA GUI: I'm going to Geneva for a couple of days. I was invited to attend a human rights advocacy training session. And I think that's going to be really useful because this is something that I've obviously being thrown into without any prior experience. LANGFITT: Until recently, Angela's life largely revolved around books and ideas. 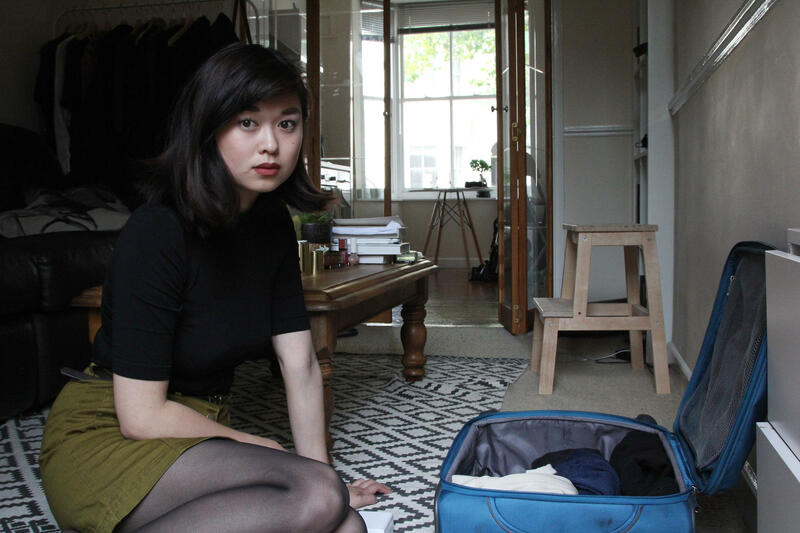 She grew up in Sweden, and most years, she flew to Hong Kong to spend weeks with her father, Gui Minhai, who sold books there. Some of the books traded in gossip about China's communist leaders. Even though the people of Hong Kong are supposed to be guaranteed free speech under a separate political system, Angela always worried. A. GUI: I asked him if he was sure that what he was doing was safe. And then he said, well, what I'm doing isn't illegal in Hong Kong, and I am in Hong Kong. I've also got a Swedish citizenship, so I don't see how they could try to punish me. LANGFITT: But punish him they did. Last fall, Gui Minhai suddenly vanished from his vacation condo in Thailand, which seems to be an increasingly unsafe place for critics of the Chinese government. Months later, Gui showed up on Chinese state television in tears, making what most consider a forced confession related to a traffic death 13 years ago. GUI MINHAI: (Speaking in foreign language). LANGFITT: Angela now splits her time studying for a master's in sociology and trying to help her dad. For the shy 22-year-old, that's required things that don't come naturally, like travelling to London and Washington to speak before political committees. A. GUI: As a university student, I never would have thought I'd find myself testifying in front of the U.S. Congress and certainly not under circumstances like these. 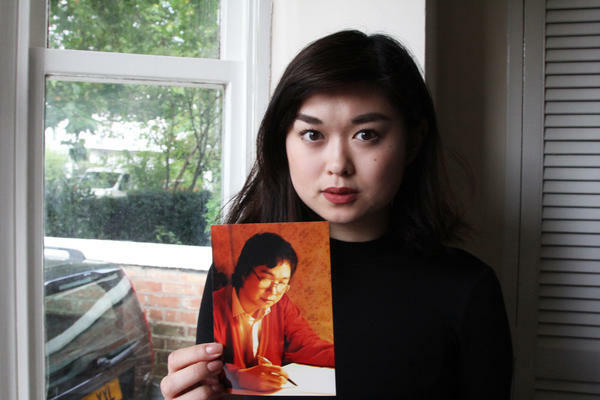 LANGFITT: Her most recent task, finding legal help for her father in mainland China - that hasn't been easy either, in part because the government has been jailing the country's top human rights attorneys. It's all pretty Kafkaesque. A. GUI: Nobody's allowed to visit my dad, so he can't sign a paper saying he wants to hire somebody to represent him, so I will have to do that. And at present, I'm not sure exactly what I need to do. LANGFITT: Angela takes a bus to school - The University of Warwick - for a part-time job helping out a professor. As we strolled around the campus, she says her father's detention and her accidental activism have changed her. A. GUI: I think I've grown a lot, and maybe I've grown more cynical. I used to think that this kind of thing couldn't happen to me or anybody that I knew. LANGFITT: It's also changed the way she sees the world and her place in it. A. GUI: Even though I realize that there are many more problems in the world than I previously understood, I think I'm still grateful that I now understand them because it means that I can start doing something about it. LANGFITT: Before father's disappearance, Angela planned to become a sociology researcher. She still intends to pursue that path, but now she wants human rights and China to be part of her life's work. Frank Langfitt, NPR News, Coventry. Transcript provided by NPR, Copyright NPR.